CBC Radio covers 99 percent of Canada. Enviable coverage to be sure, that’s why e-Radio got permission from the broadcaster to try out its FM-based demand-response-lite technology. 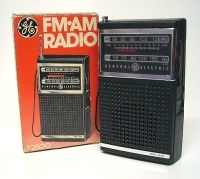 Greentech Media reports, that e-Radio’s system transmits data over Radio Data System, which piggybacks over FM signals, to send signals to compatible thermostats with a cheap, $20 module. It’s the same system that allows you to see what song is playing and the radio station’s call letters. e-Radio envisions that utilities can send signals when demand reaches critical to avoid a brownout. Neat, but as Greentech points out, communication is strictly one-way, not exactly living up to the potential of the smart grid.